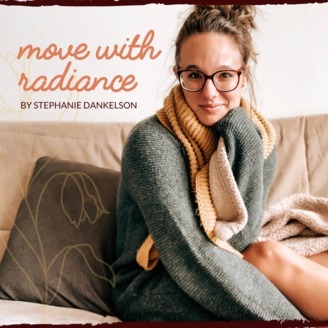 Move with Radiance is a podcast all about learning how to redefine your relationship with exercise, food, and your body by first learning how to first redefine the relationship with yourself. Through a series of discussions Stephanie outlines what it means to find true internal acceptance and how to reconnect to your body. She digs into topics from intuitive eating and dismantling diet culture to how to move through anxiety, people pleasing, and perfectionism. 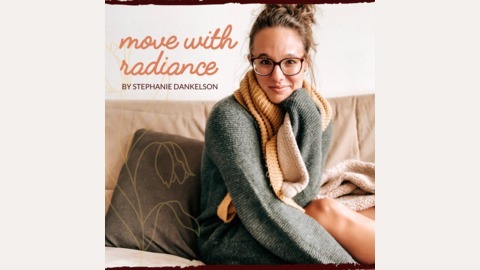 Your host, Stephanie Dankelson, is a speaker, writer, and body acceptance coach passionate about ending diet culture and helping women discover what it means to come home to their bodies. This week on the podcast I am bringing you a guest episode with Personal Trainer, Jake Gifford (@thephitcoach), to talk about weight stigma and his unique approach to personal training. In this episode, we dive into why Jake doesn't encourage weight loss and instead calls for a paradigm shift by reframing exercise as an activity that can be beneficial beyond the way we look. We talk about weight stigma and the biases around people in different body types, removing the fear around exercise, finding intuitive movement that brings you joy, and more. A little about Jake: Jake is an experienced personal trainer who focuses on tearing down the barriers to exercise and emphasizes an inclusive approach to fitness that goes beyond how we look. He holds a masters degree in sports, health and exercise science with a keen interest in physical activity engagement whilst acknowledging social determinants of health.